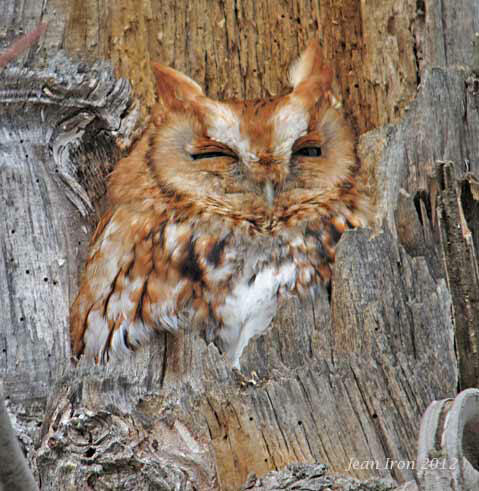 Red morph Eastern Screech-Owls comprise about 19% of the Ontario population based on specimens in the Royal Ontario Museum. 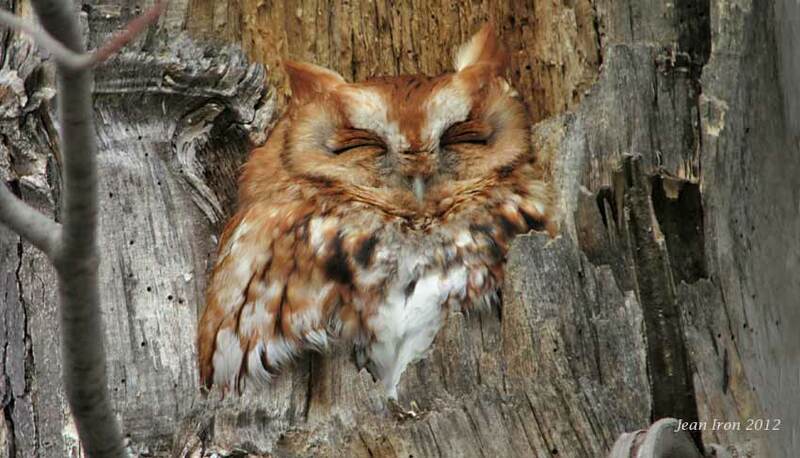 The above Eastern Screech-Owl is resident in Woodland Cemetery in Burlington. 26 February 2012. The percentage of red morph birds may fluctuate in the northern part of the range because red birds have a lower survival rate than gray morph birds during unusually cold and severe winters. A study in Ohio found that 44% more red birds died than gray birds during a particularly severe winter. Another study in Minnesota found a similar differential winter mortality between red and gray morph Ruffed Grouse. How red coloration is linked to lower winter survival in these two unrelated species is unknown. For more information about the morphs in Ontario.